There are many recipes, especially the breakfast ones, that would look good with a poached egg on top. While the aspect and taste would gain 100 points, the technique can give you some headaches. How can you obtain that silky egg white and gooey yolks without too much effort? 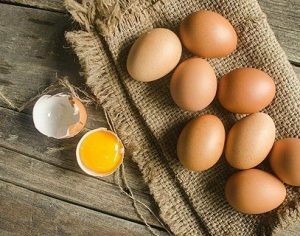 How to poach an egg without vinegar for your breakfast? This article is going to show you the dos and donts of mastering the art of egg’s poaching. 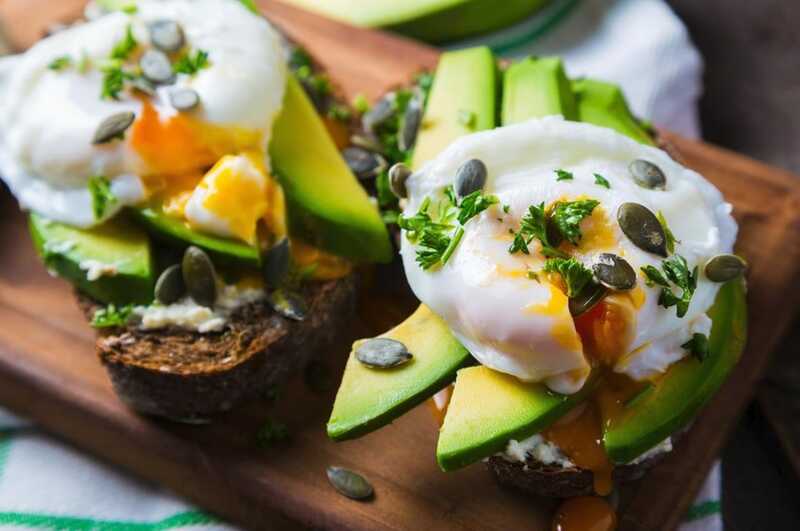 Even though poached eggs have the reputation of being difficult to prepare, it is enough to know some simple tricks and everything will seem a piece of cake. You can say goodbye to the fear of wasting an egg or obtaining an egg soup instead of a perfectly poached egg. As long as you forget the traditional method of adding a bit of vinegar in the boiling water, you will see that the perfect poached eggs are in fact very easy to obtain. One of the most common trick used to obtain the perfect poached eggs is adding a bit of vinegar to the boiling water. However, even though vinegar helps the whites to coagulate, its scent is considered to be very powerful and disturbing. You do not want your egg taste like vinegar. Even though this is the easiest method to obtain a nice poached egg, it is not the only one. It is very important to use fresh eggs. When it is fresh, the egg’s albumen is thicker and its consistency is more gelatinous. If you try to poach an old egg, you will see that its albumen is more watery and it will tend to disperse in the boiling water. 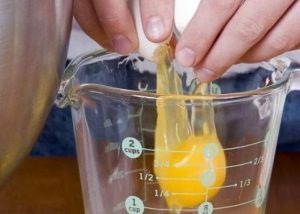 Before you start poaching, you can crack the egg into a measuring cup. This is how you will check whether the yolk is intact and you will prevent any eggshells from falling into the water. The water does not have to be boiling. As soon as the first bubbles appear, it means that the water’s temperature is perfect for your poached egg. It would be better to do one egg at a time. If you add more eggs at the same time, they might collide with each other. 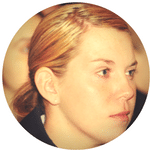 Now that you know the basic rules, it is time to take action. You will find a simple trick below that will help you prepare the perfect poached eggs. Put a pan full of water to boil. 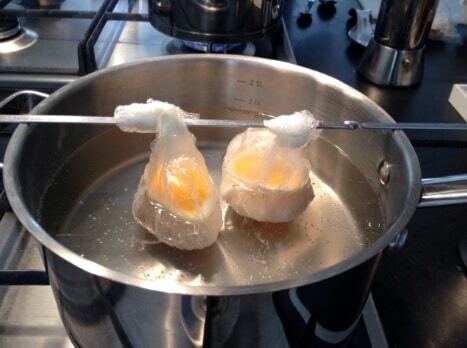 Be ready with the egg as soon as the first boiling bubbles appear. Lay out a plastic wrap over a measuring cup and add a bit of olive oil on it. The olive oil will help you remove the plastic wrap without destroying the egg once it is ready. Crack the egg over the plastic wrap. Check if there are any eggshells and the yolk is intact. Pull the plastic wrap upward and tie a knot tightly. Even though you have to be gentle, it is important to make a tight knot and keep the egg together in the wrap. Drop the egg in the simmering water and leave it for about 5 minutes to coagulate. Depending on how you like the yolks, you can leave the egg a bit more or less. As soon as you obtained the desired consistency, you can take out the “package” using a spoon. You can remove the plastic wrap and enjoy your poached egg. You will see how easy it is to remove it thanks to the olive oil you added in the beginning. Of course, there are also other methods that will help you obtain a nice poached egg without vinegar. For instance, you can try the vortex method or you can poach it in the microwave. However, the above method is, by far, the easiest one. You do not have to be a skilled cook to prepare a poached egg without vinegar. As long as you use a safe plastic wrap and fresh eggs, you will see how easy it is to become the master of poached eggs.